Debut albums are a bit special. Often the result of a long gestation period that may well have begun in someone’s teenage bedroom, there is an exuberance and excitement to a first offering that combines confidence (“Look at me! Listen to my music!”) and nervousness (“Is it OK? Will anyone like me?”). Over the life of Vinyl Connection I have written some fifteen pieces on memorable debut albums. Here is a selection, in no particular order, that deserve to be dusted off and re-appreciated. Often referred to as the first ‘supergroup’ (in the US – many Brits would cite Cream), David, Stephen and Graham produced a wonderfully melodic suite of songs that somehow blended their influences as successfully as their voices. Though commenting on the tense geo-political times (“Wooden Ships”) and recent events (“Long Time Gone” / Kennedy assassination), the songs avoid preaching and sound committed rather than strident. What I love are the variations in texture; from Crosby’s limpid “Guinevere” to the rollicking sea-shanty “49 Bye-byes”. From the psychedelic-tinged “Pre-road Downs” to the wistful ballad “Helplessly Hoping”. And let’s not forget the opening track, the gorgeous, sprawling “Suite: Judy Blue Eyes”. Gotta love a brash young trio who hammer out a glorious amalgam of melody and distortion. 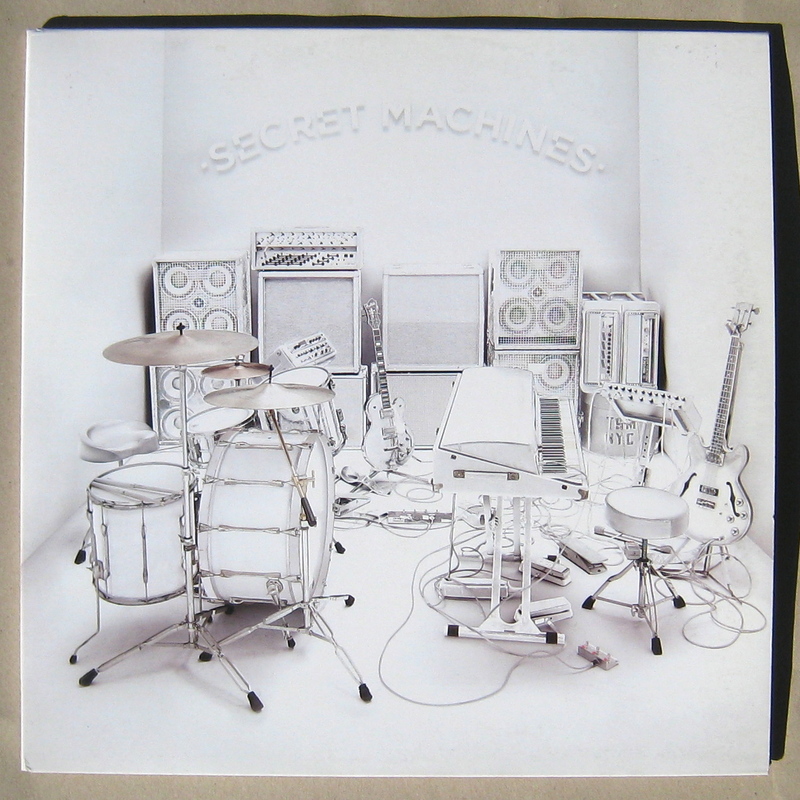 The Secret Machines debut boasts the swagger of Zeppelin and the groove of Neu! plus a seasoning of Metal Machine Music. Yet it still manages to sound totally 21st Century. And though young in years, there is a persistent weltschmerz permeating the album. The ship may be sinking but let’s make a high-density racket until the power goes off. Suffused with a melancholy beauty as ethereal as a pre-dawn mist, the debut of Glasgow band Blue Nile sounded as clear and as detailed as a space-age sound lab while inhabiting a place of quiet resignation and ancient sadness. Even the more hopeful songs (“Stay”) are made poignant by Paul Buchanan’s keening voice. Don’t talk about the audiophile qualities, embrace the heartbreaking beauty. 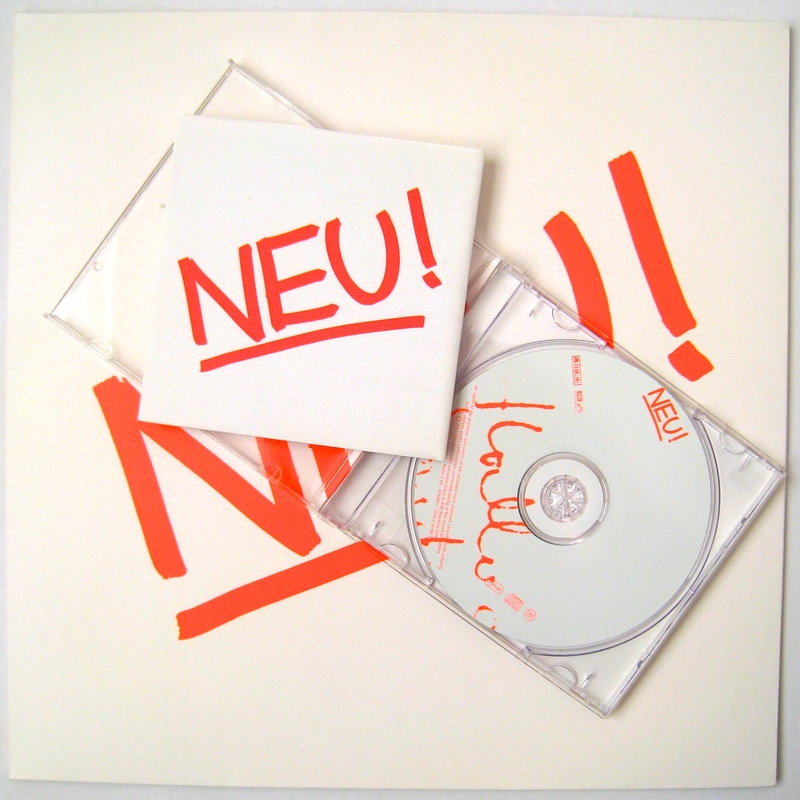 One of the bands who define the German independent music of the 70s, Neu! comprised guitarist Michael Rother (bass also) and Thomas Klaus Dinger (voice, drums). This first outing lays out the template for both melodic beauty and ‘motorik’ percussion. Fans include David Bowie and Julian Cope. The former said, “I was completely seduced by the setting of the aggressive guitar-drone against the almost-but-not-quite robotic/machine drumming of Dinger.” The Archdrude offered, “Neu! was the epitome of Krautrock.” Still fabulous. 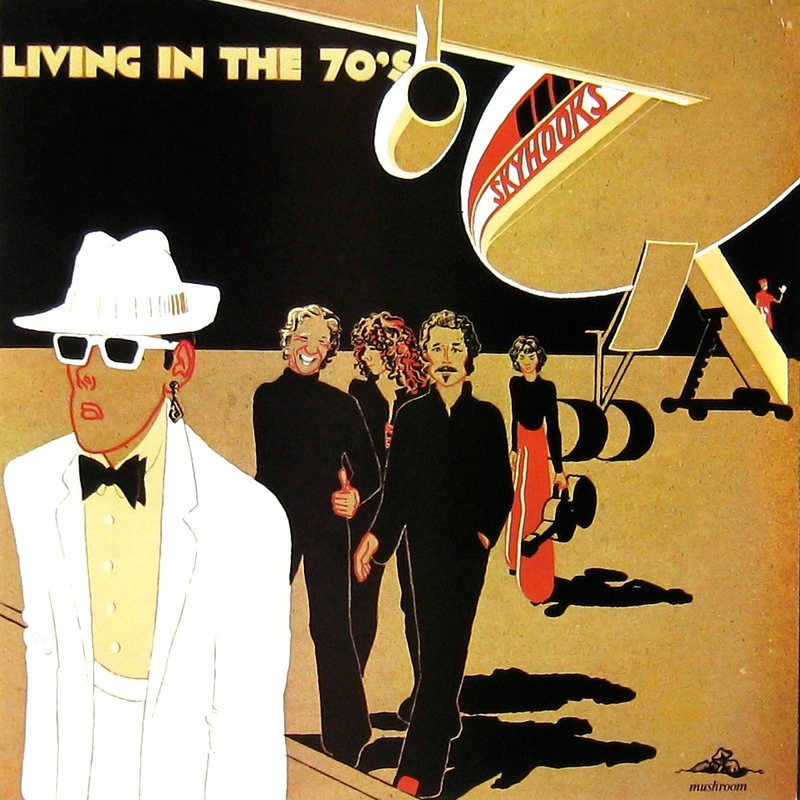 The article on this iconic Australian album was one of those memoir pieces that re-visit generally embarrassing aspects of Vinyl Connections younger days. But the shameless nostalgia should not obscure the piercing lyrical gaze and irrepressible energy of Skyhooks debut. Does it hold up forty years on? Well, TV news is still a suppurating “Horror Movie”, the 10s are no less disorientating than the 70s, and I drank a cappuccino on Lygon Street this afternoon. So there. Brian Eno is one of the giants of popular music. His electronic bullying of the Roxy Music sound added massively to their sonic interest (and the enduring regard in which the first two albums are held), while his production work – beginning with Bowie but including U2, Talking Heads and other heavyweights) has changed the climatic conditions in which those artists have created. This, his first album, is diverse, restless, ragged in places and polished in others; you can almost see his sparky brain revealed. And it’s fun too. 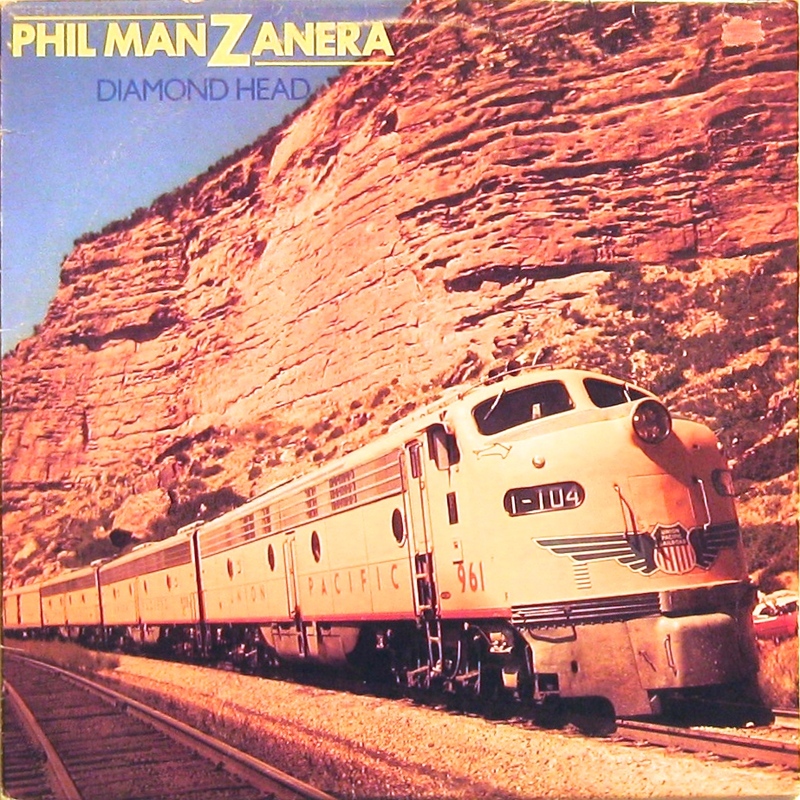 Talking of Eno, he helped out on Roxy Music guitarist Phil Manzanera’s first solo album while also supporting the recording of the one-and-only Quiet Sun album simultaneously. It’s all there in the original article. Suffice to say, Manzanera’s 70s work has been unfairly overlooked; he is a guitarist with that rare capacity to sound inventive and fresh while remaining identifiably himself. Diamond Head is wildly eclectic and most enjoyable. There is a real tension in choosing to feature a well-known album. On the one hand, the desperate-for-validation blogger is highly likely to receive a spike in page views by featuring a ‘classic’ album. Case in point: by far the most viewed Vinyl Connection post is the one on Led Zeppelin. On the other hand, how to find something new to say about an album that most people know (or have at least heard of) and already have opinions about? Here I went with a longer story to snuggle up to a concise review of the album. On reflection, maybe if someone spins an old favourite and derives pleasure, then that is enough. A grab for votes reared its ugly head again in this post which attempted to cover the formation of Richard Branson’s Virgin Records and guitarist/multi-instrumentalist Mike Oldfield’s first two albums. Without saying anything negative, I tried to impart the idea that fine though the debut is, the second effort is better. The position holds. Listen to Hergest Ridge and discover inventive folk-influenced progressive instrumental music of great charm. This post was inspired by the KamerTunesBlog series on Rich’s favourite debut albums. Looks like I need to add Quiet Sun and Diamond Head to my playlist. Do! Hope you enjoy them. When Schizoid came on I freaked! And I’ll be honest, I didn’t get it at all. Thanks a lot. Yep – I get exactly what you are saying. The more complex the music, the more plays it takes to get inside it… and perhaps (prog lovers might say) the greater rewards. I had an identical experience with Billy Cobham’s Crosswinds when I first heard it. Now it’s a well-loved favourite. Love seeing Secret Machines ‘Now Here Is Nowhere’ getting some love. A truly stunning debut album, this made me a lifetime fan of the band. I remember buying the debut based on, of all things, a review in an Entertainment Weekly magazine. Very happy I listened to the reviewer that gave it an A-. Their third and last record, simply self-titled, is a near masterpiece. Eno and NEU! are also great debuts. There’s a few on here I’m not familiar with, but will be looking them up shortly. The CD of that 2008 self-titled album you mention has a sticker on it: “They take Pink Floyd psychedelia, Led Zeppelin stomp, and Who inspired choruses and charge them full of big-rock beats, atmospheric keyboards and all kinds of electronic whooshes” (Rolling Stone). Not bad, eh? Think I better listen to that next! That’s a surprisingly accurate description, especially coming from RS. That was back when they still took their time with reviews as opposed to four sentence blurbs. “The Fire Is Waiting” on that album is pretty monumental. Absolutely stunning stuff. Makes me sad Brandon Curtis hasn’t made any new music in so long. I hadn’t thought about that mix of bravado and bashfulness that might accompany a debut – interesting observation. I wonder what the optimal mix tends to be. I’d certainly enjoy a stellar sophomore series! One of the benefits of having a brother and sister several years older than myself (12 and 9 years, respectively), was having the opportunity to root around in their album collections as a 7-year old and find offerings unlike anything I had in my own music collection at the time. In this manner I discovered The Beatles, The Monkees, Simon and Garfunkel, The Doors, Iron Butterfly and….Crosby, Stills and Nash. 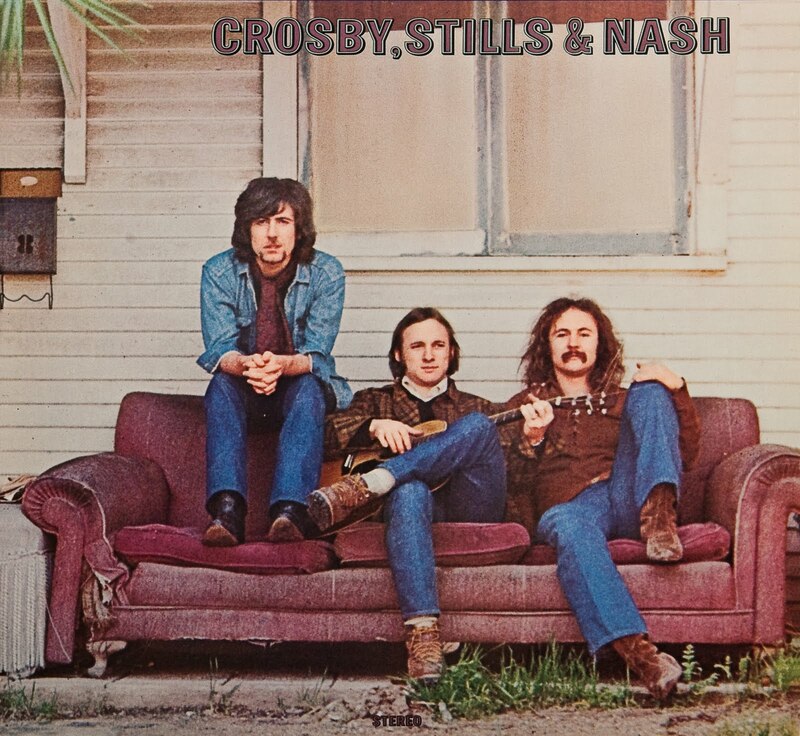 I recall being fascinated by those three guys hanging out on their tattered sofa and, even more so, by that mysterious figure peering through the door on the back of the gatefold. 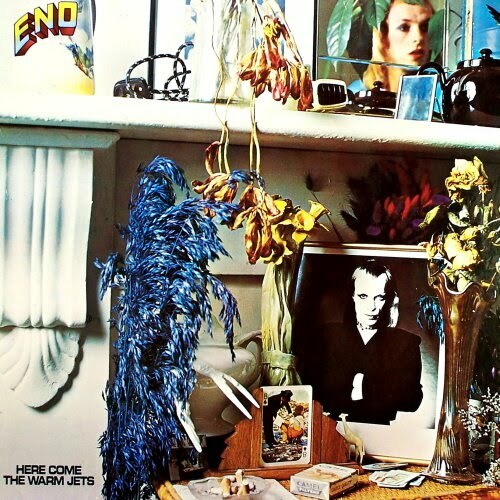 Suite: Judy Blue Eyes and Wooden Ships ultimately became my favorites from this album, but as a kid I liked Marrakesh Express best, especially when Graham Nash sang, “Blowing smoke rings from the corners of my my, my, my, my mouth….” Thanks for the memory. P.S. I like the idea of a series of posts on second albums that surpass the first! Cheers, JDB. What was in your seven-year-old music collection? Many of Nash’s songs have a simple, child-like quality, not least Marrakesh Ex. I don’t find it quite as endearing these days but absolutely see that the playfulness of that particular song would engage a younger person! Mostly movie soundtracks (Hans Christian Andersen [with Danny Kaye], Chitty Chitty Bang Bang, Oliver! ), and I loved them! Little nitpick here – the drummer of Neu! was Klaus Dinger, not Thomas. Thomas was his brother (who was a member of La Dusseldorf and did put out one pretty cool solo album), and quite frankly I’m amused that anyone’s heard of him. For someone who has immersed themselves in ‘krautrock’ for over forty years, that is an unforgivable mishtook. The sub-editor has been bound to the radiator of an articulated Motorik and sentenced to circle the Autobahns of Dusseldorf for all eternity. Thomas did, of course, join brother Klaus in the excellent post Neu! band La Dusseldorf. Bruce, I’m honored that my series on debut albums at least partially inspired this excellent post. 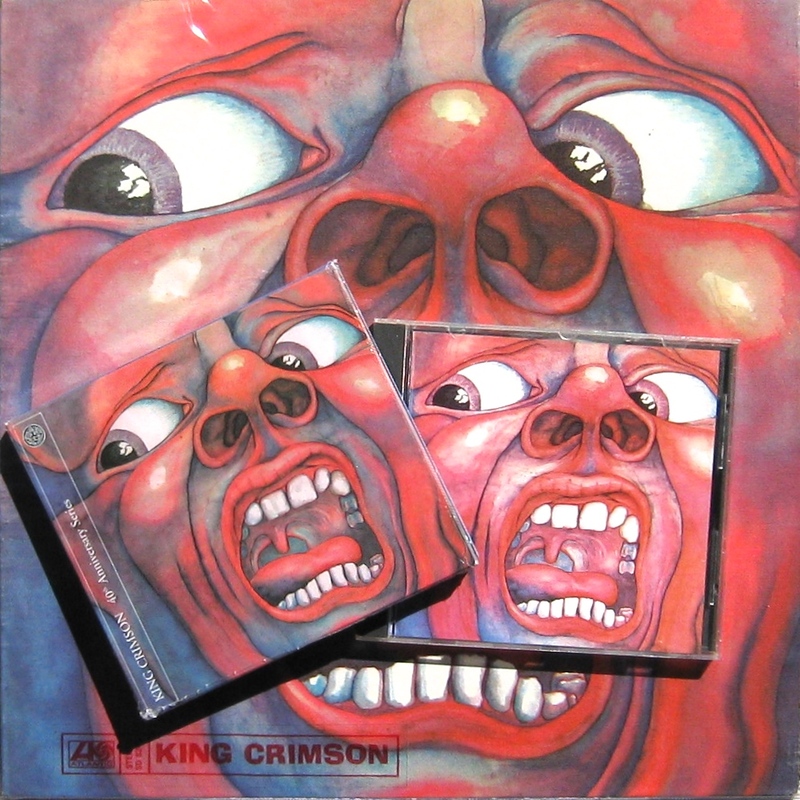 I’m also happy to see that we have a couple in common (King Crimson and CSN), and you reminded me of two artists who should have at least been in contention for my series, Eno and Neu! Both great artists & excellent debuts. The only Manzanera I own (beyond Roxy Music) is 801 Live and I need to remedy that. 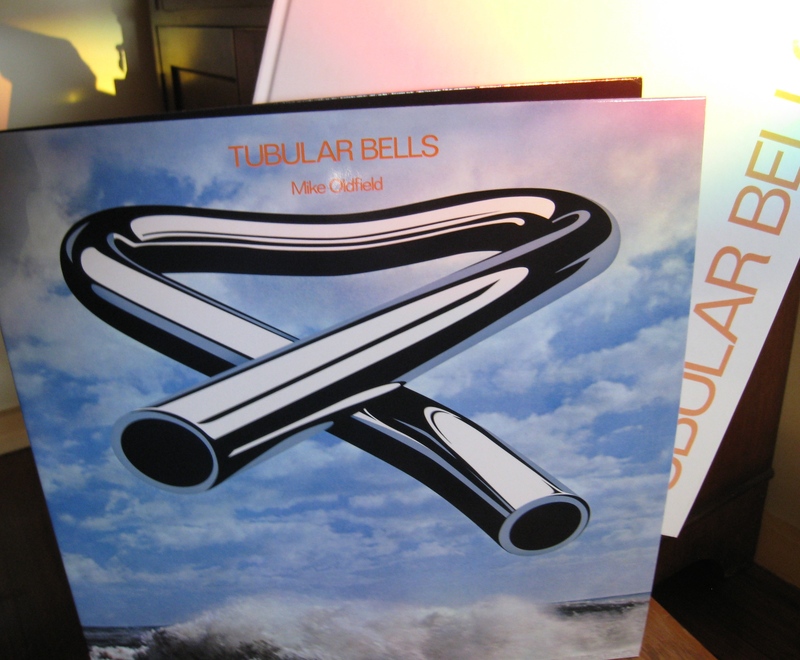 Also, although I own a couple of Mike Oldfield albums on LP and a compilation CD, I’ve never owned “Tubular Bells.” That’s been an oversight I’ve wanted to correct for some time, but there are so many editions of it on the market that it’s hard to know the right one to get. 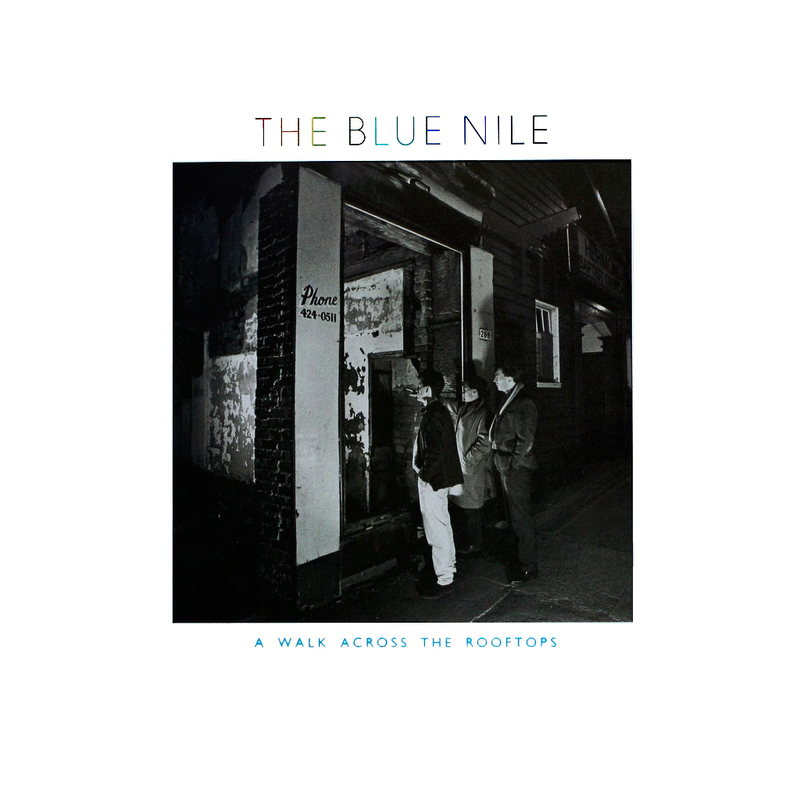 I just got into The Blue Nile a couple of years ago so they haven’t become one of my favorites yet. Over time I expect that to change. Thanks to you, Secret Machines are now on my musical radar. Thank you for that. I’ve lost count of the times Tubular Bells has been re-issued. More times than the Bowie catalogue, and that’s saying something! As it is a nice sounding album in any of its versions, I’d grab the next one you find at a garage sale and take it from there. But do give consideration to Hergest Ridge too – I find it (and #3 Ommadawn, for that matter) more satisfying. Also, I’ve consulted Nostradamus and ascertained that ‘By the time round ball corruption has settled and the global cup once more raised aloft, the man of Kamer will justly claim a journey down the cobalt Nile of transcendent glory’. You’ve been warned. Thanks for the Oldfield recommendations. I have Hergest Ridge on vinyl but I probably haven’t played it in 20 years. Will give it a spin soon. Ommadawn has been on my radar for a while so I’ll continue my search for that one. Should I understand the “round ball corruption” quote or will it be revealed to me at a later date when I least expect it? I comment from time to time on Rob Jones’ Delete Bin site and have kept track of yours a couple of years now- always some interesting guff to follow up on, so thanks. I’ve had sixty-odd years of keeping the ears wide open and the piles of vinyl and aluminum about the house will attest to a gloriously wasted youth that has lasted well into late middle age, from Lee Dorsey and Sam Cooke to Martha Wainwright and Hurray for the Riff-Raff. There have been a lot of debut releases over those years and I’m certain the one that gave me the biggest “Holy Moly, What Did I Just Hear?” moment was by Fraser and Debolt, a short-lived Canadian duo from the early ’70’s. I’d seen them live a couple of times so sorta knew what to expect, but their first (of two) LPs set the bar for my musical appreciation. Permanently in my Top Ten. Both went on to produce good, sometimes excellent solo work, especially Daisy Debolt (deceased in 2011) but man-oh-man, that first listen! Only on old out-of-print vinyl, any cd’s are illegal bootlegs and CBS (Sony?) doesn’t have the wit to do the right thing. It may not be available world-wide but a CBC “Inside the Music” radio show from 2011 gets to the heart of why they were so important and so overlooked. And my partner has their second recording, also excellent, on 8-track! Delighted to have you step forward with this rich response, Glenn. Yes, the music does accumulate, doesn’t it? The only thing that saves my relationship is the employing of ever-more-desperate shelving systems in the ‘runt’ spare bedroom. Heaven knows what’ll happen when that reaches capacity! Have not heard of Fraser and Debolt previously. Allmusic gives their 1971 debut an impressive 4.5 stars and hints at a Band-like roots excursion with psychedelic tinges. They mention, also, a 2007 CD re-issue on Fallout. Perhaps that’s the dodgy ‘unofficial’ release you mention. Late to this one – that Secret Machines album is a cracker and I’m also really fond of the Blue Nile (though I own nothing of theirs – shocker!). Debut albums that I’ve been listening to a lot of late have been Kristofferson’s, Spirit’s and SRV’s Texas Flood. Long standing favourites are Masters of Reality and Ry Cooder. That’s a terrifically mixed bag, J. Bonus Eclecticism points, man! Weill, I reckon they are all worth exploring when time and ear-space allows. Incidentally, congratulations on making it to the two year mark of Vinyl Connection, CB! You have a pretty good track record with CB on your musical tastes so i will be checking them out. If I keep doing my 3 comments a visit, i’ll be caught up in 2017. I’m enjoying the ride on the VC express. You could teach those mainstream music experts a few things. From CCR’s ‘Chooglin’ to Herbie and Chic, you have it covered. Thanks CB. Very happy to have you aboard to share in the results of my obsession! There is a clear thread of South American references, quotes and textures running through Phil Manzanera’s work. I know that somewhere in these pages I’ve referred very positively to his self-curated compilation album Guitarisimo – a comp I just love. But you are correct, I’m not acquainted with Ms Libertad (nor her American cousin, Miss Liberty). I don’t even know how a boleros differs from a bolero, ignorant Aussie that I am. And in a total non-sequitur, I’ve just been listening to a 1981 Wishbone Ash LP featuring John Wetton, Number The Brave. Think I might have to spin Argus to, er, refresh my ears. My Wishboning culminates in ’73 with Live Dates. I had no idea Wetton had passed through the ranks. I see loads of Ash albums in the racks every time I’m in the thrift stores but never bite, and I’m not even sure why. I failed to take an opportunity to see a current touring version when they visited here earlier this year, probably for a likewise uncongealed reason. Live Dates is one of my favourite live albums, so much so that, prompted by your reference, I immediately pulled the CD out and it is playing now as I munch breakfast. Although I have at least five later albums, the only one that ever gets played is There’s The Rub, which I would consider an excellent acquisition should it fall into your path. Also, there’s a 2LP version of Live Dates Volume 2 that’s really strong.